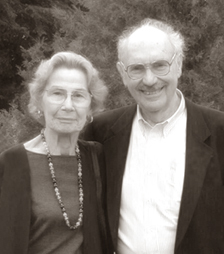 The Jarvis & Constance Doctorow Family Foundation was established in New York City in 2004, as a tax-exempt 501(c) 3 charitable trust with personal donations by its first Trustees, Jarvis and Constance Doctorow. The Foundation’s board members are Jarvis Doctorow, François Camoin, Suzanne Larson, Shelley Hunt-Camoin & Robert Larson. We acknowledge with great sadness the passing of Constance Doctorow on March 16, 2009. A Co-Founding Trustee of JCDFF, along with her husband, Jarvis, she was an integral, committed and vital part of our foundation and she will be greatly missed. We acknowledge with great sadness the passing of Danièle Doctorow on November 14, 2010. A Trustee of JCDFF, and our Executive Director, she was dedicated to our mission, guided our growth, and kept our sense of humor intact. Her spirit will be felt as we continue forward.